The largest state (in area) of the United States, Alaska was admitted to the union as the 49th state in 1959, and lies at the extreme northwest of the North American continent. Acquired by the United States in 1867, the territory was dubbed “Seward’s Folly” after U.S. Secretary of State William Seward, who arranged to purchase the land from Russia. Critics of the purchase believed that the land had nothing to offer, but the discovery of gold in the 1890s created a stampede of prospectors and settlers. Alaska is bounded by the Beaufort Sea and the Arctic Ocean to the north; Canada’s Yukon Territory and British Columbia province to the east; the Gulf of Alaska and the Pacific Ocean to the south; the Bering Strait and the Bering Sea to the west; and the Chukchi Sea to the northwest. The capital is Juneau. Russia controlled most of the area that is now Alaska from the late 1700s until 1867, when it was purchased by U.S. Secretary of State William Seward for $7.2 million, or about two cents an acre. During World War II, the Japanese occupied two Alaskan islands, Attu and Kiska, for 15 months. 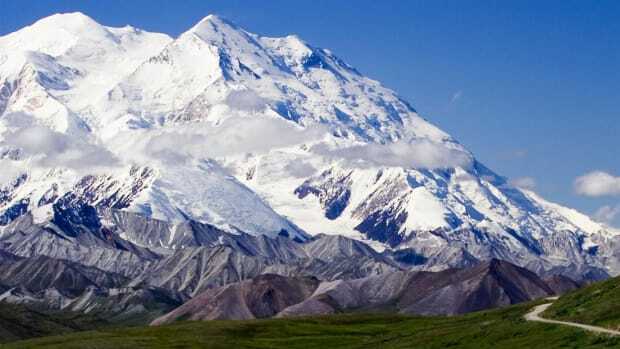 Alaska contains 17 of the 20 highest peaks in the United States. At 20,320 feet, Mt. 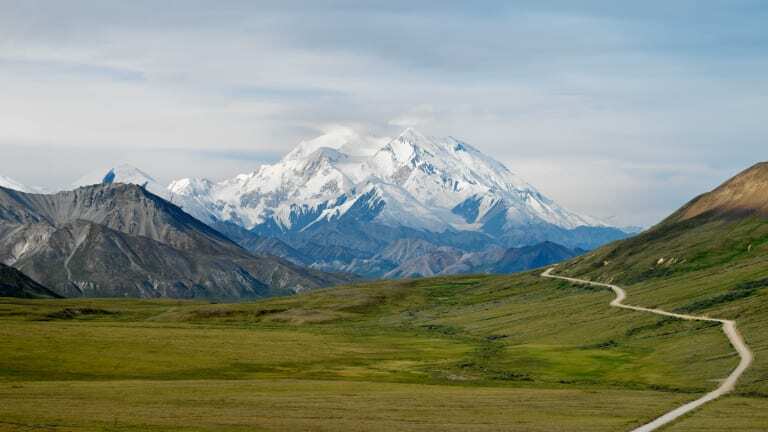 McKinley is the tallest mountain in North America. Alaska has roughly 5,000 earthquakes every year. 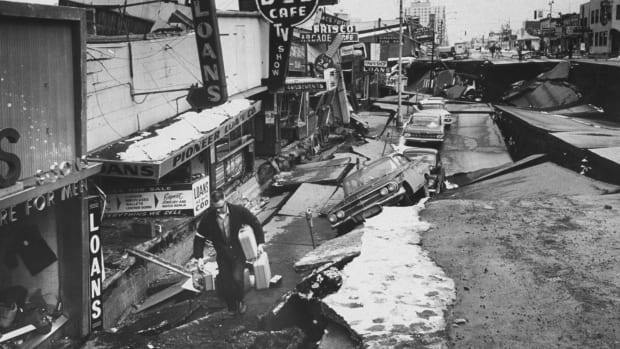 In March of 1964, the strongest earthquake recorded in North America occurred in Prince William Sound with a magnitude of 9.2. The most powerful volcanic explosion of the 20th century occurred in 1912 when Novarupta Volcano erupted, creating the Valley of Ten Thousand Smokes in Katmai National Park. The temperature dropped to a record -80 degrees Fahrenheit at Prospect Creek Camp in 1971. The state of Rhode Island could fit into Alaska more than 420 times. People have inhabited Alaska since 10,000 BCE. At that time a land bridge extended from Siberia to eastern Alaska, and migrants followed herds of animals across it. Of these migrant groups, the Athabaskans, Aleuts, Inuit, Yupik, Tlingit and Haida remain in Alaska.